The Holidays represent a special time for family and friends within the Christ the King Parish. And for the Girls and Boys 7th and 8th grade CYO basketball program, it offers a chance to not only spend time on the basketball court, but also lead the parish in the CYO program’s annual food drive to support the St. Vincent de Paul Society. During the Thanksgiving and Christmas holiday breaks, Christ the King hosted more than 35 teams featuring more than 350 players from outside the parish. In addition to offering the best CYO basketball in the East Bay, we asked every guest to bring a can of food to support the needy. The proceeds from both Christ the King tournaments was more than 1,400 pounds of food, all of which was donated directly to St Vincent de Paul. Christ the King is thrilled to host great basketball every year during the holiday season. 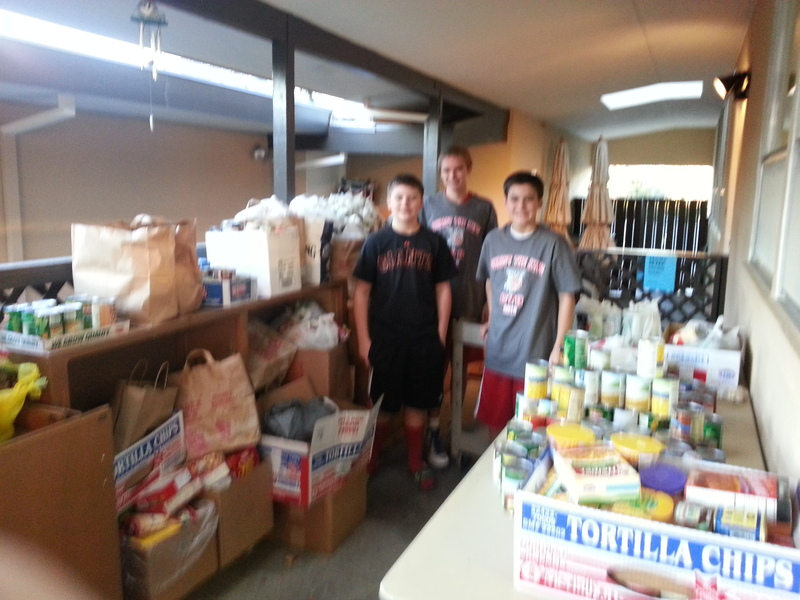 We are humbled and proud to be part of a larger catholic community that helps support the less fortunate. A special thank you to Steve Murphy, our tournaments chairperson, and his committee of coaches and volunteers for making both events such a great and rewarding success for everyone. May your 2013 be filled with happiness and success!